Care-free, Station-free, Key-free, Effort-free, Deposit-free. 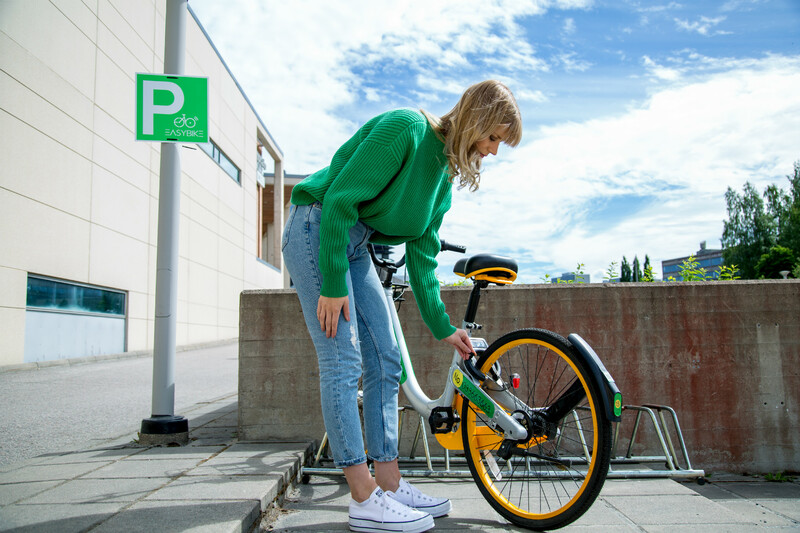 EASYBKE invites you to experience the freedom of riding a bike anytime with the economic cost, and to build a green and smart city together. 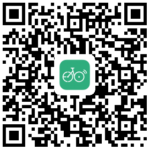 Go and download our EASYBIKE app and register to our service. It’s free and and takes only a couple of minutes. You can find the nearest bikes on our application’s map. 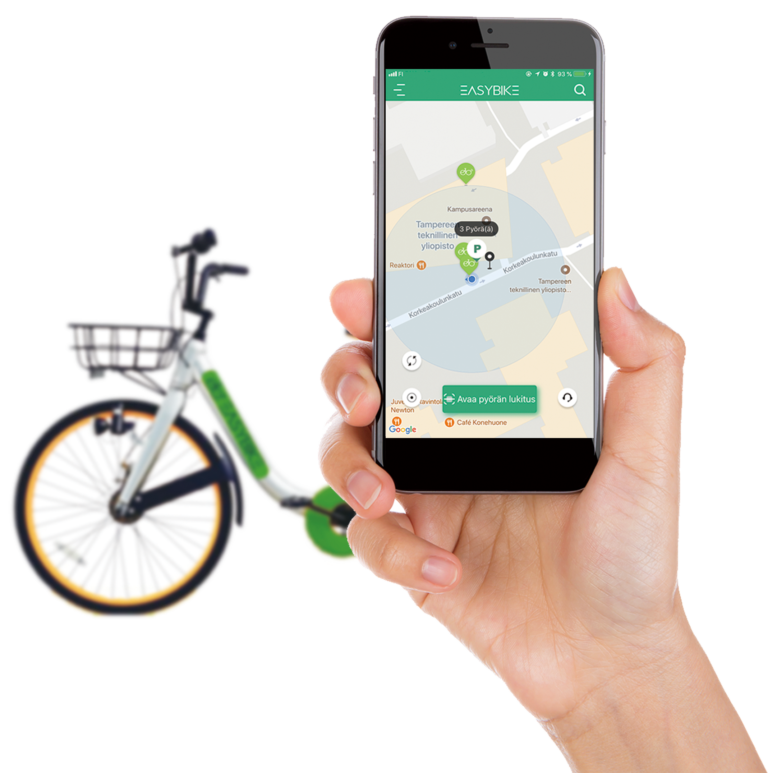 Open EASYBIKE APP, locate EASYBIKE parking spots on APP map, find the bike near you. Reserve it or go straight for it. 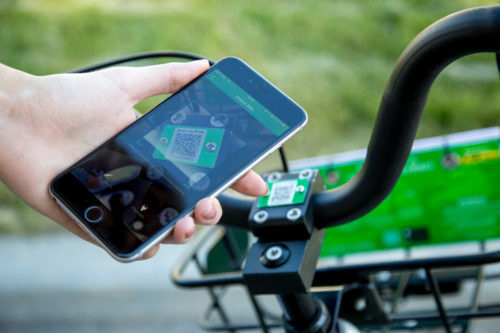 Turn on the bluetooth of your phone and scan the QR code in the front and the back of the bike. 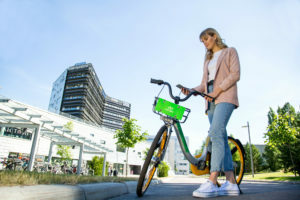 Your journey with EASYBIKE starts now! 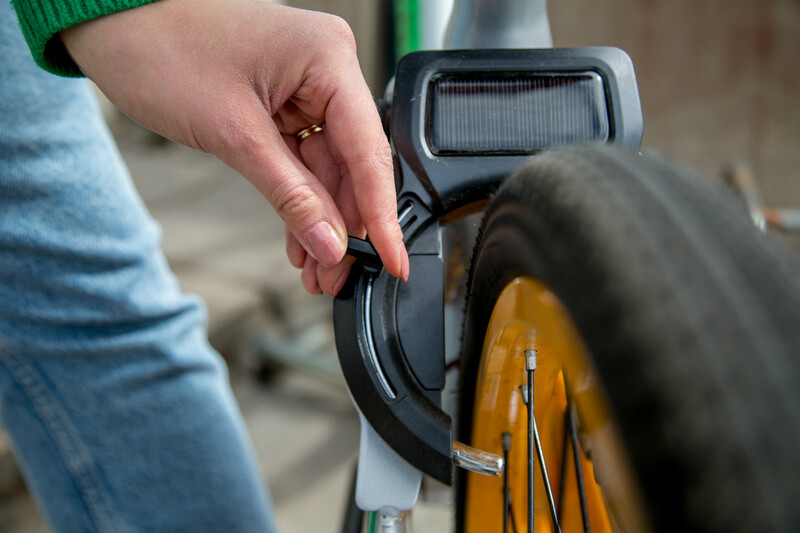 Ride the bike to EASYBIKE parking spot near your destination. You will have to pay 0.5€ extra for improper parking outside. Mannually lock the bike and your trip will be ended automatically on the application. Please wait nearby the bike and check on your phone. 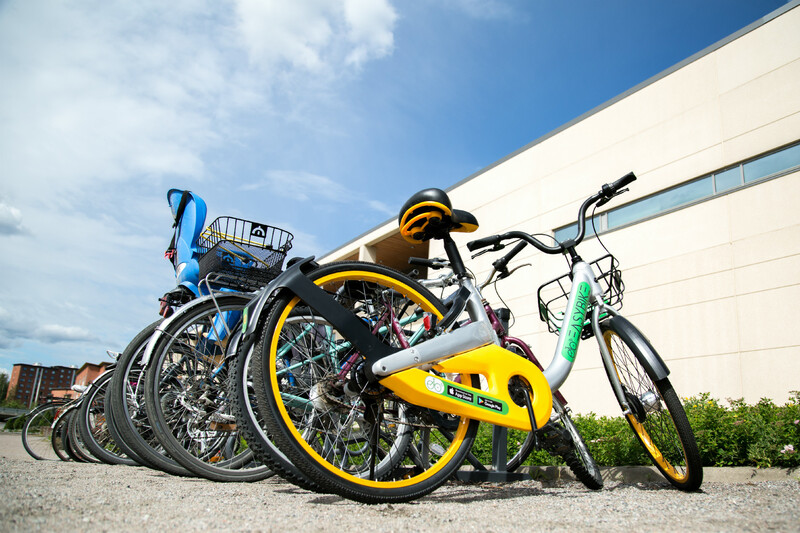 Easybike has altogether 31 parking spots all around hervantan and nearby places. Please make sure you are parking properly. If you are parking outside our parking spots, you will have to pay 0.5€ extra. If you help us ride an EASYBIKE from outside into one of our parking spots. You will be rewarded 0.5€ if your riding bill is anything over 0.5€. When you have completed the registration process, you can go to "My Vouchers" and scan the QR code above to get 2€ in your account balance. The QR code is valid until 30.9.2018. When you have completed the registration process, you can go to "My Vouchers" and scan the QR code above to get 7 days membership ticket. Within 7 days you can have unlimited rides under 30 minutes. 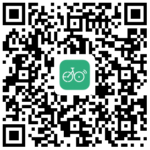 The QR code is valid until 30.9.2018. 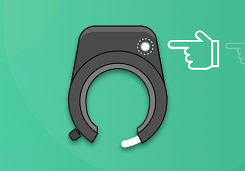 While unlocking the bike, please put the phone close to the lock to have better buletooth connection. You have to press the button on the lock if there is an instruction in the applicaiton. While locking the bike, please open the application to check whether the trip is checked out properly. Please noted that you might have to wait for 30 seconds to 1 minutes sometimes to receive the bill. Membership tickets covers unlimited 30 minute bike rides. Overage fee €1 for each additional 30 minutes. 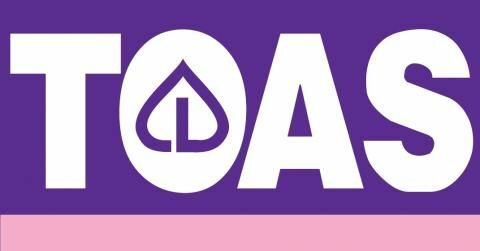 Season ticket will remain valid until 31.10.2018.